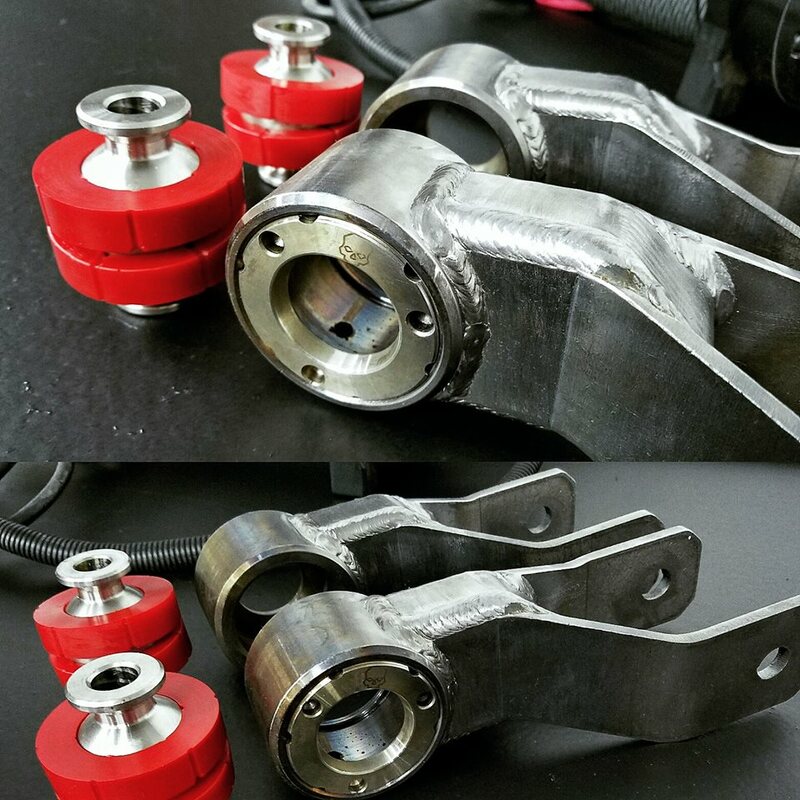 The BWE Comp Shackles are hands down the best shackles you can buy for your XJ! 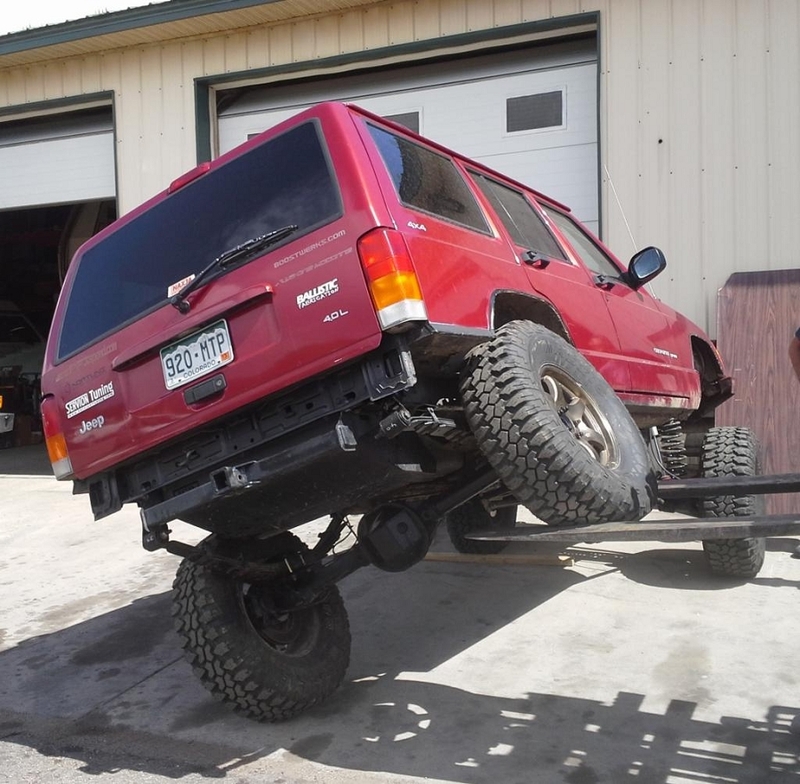 Utilizing Ballistic Fab's 2.63" flex joint at the chassis, the shackles are now free of any lateral bind and can move with the natural arc of the leaf spring. This in turn relieves the torsional stress placed on the uni-body, as well as the main leaf during suspension movement. They will provide a substantially more supple rear suspension, along with more effective droop or "weight transfer" at the rear tire. The flex gains are similar to a "revolver" type shackle but without the drawbacks of sudden unloading and wheel hop. They will provide 1.5" of lift over stock, and are "boomeranged" to provide additional clearance at the chassis. They are designed around HD Offroad's No Lift drop brackets, but may work with the many other's on the market. You will need at least 2" of clearance from the bolt centerline to the top of the mount in order for the shackles to work. Make sure your brackets have enough room before ordering! 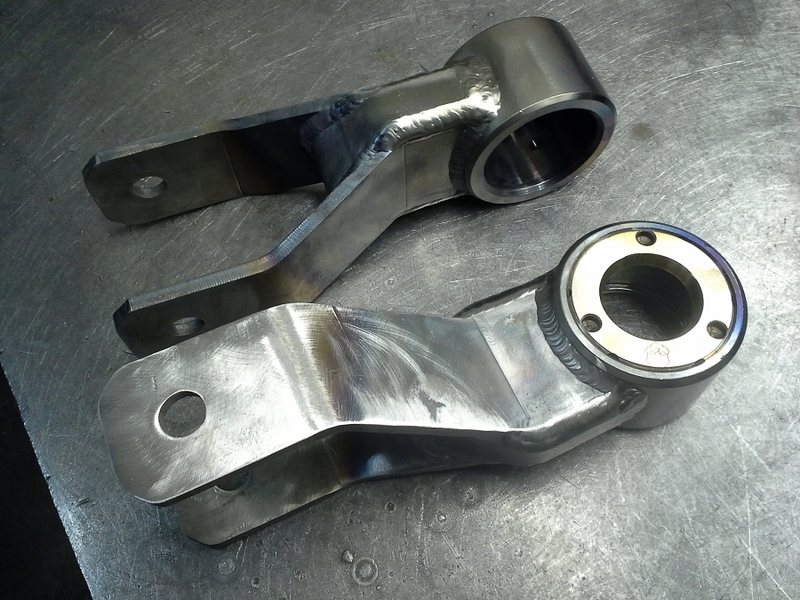 Due to the width difference of the Joints and the factory shackles, shimming will be required using the provided 9/16" washers to center the shackle in the mount. This is very easy to do and does not compromise the strength of the assembly provided that the bolt is torqued down properly. We also offer our shackles in a DIY welders kit, with or without the Ballistic Fab joints. Simply select what you need from the drop down menu! - Components are CNC cut and formed from 1/4" HR Plate. - The shackles measure 6.5" center to center. - Complete shackles, and DIY kits come bare (no paint). Product Disclaimer: The customer assumes all liability with the use of this product! Shackles work great. I bought them in a diy kit pretty easy to weld together.